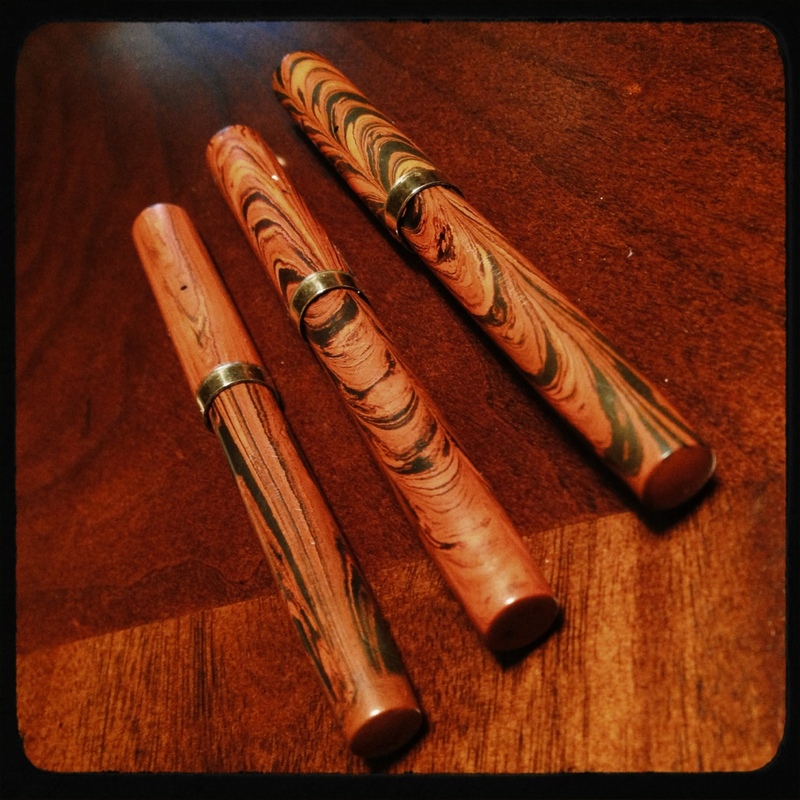 Okay, to be fair the 52½V on the left, the 55, and the 56 are all what we now call the “woodgrain” pattern, and the 12S is the early mottled pattern. 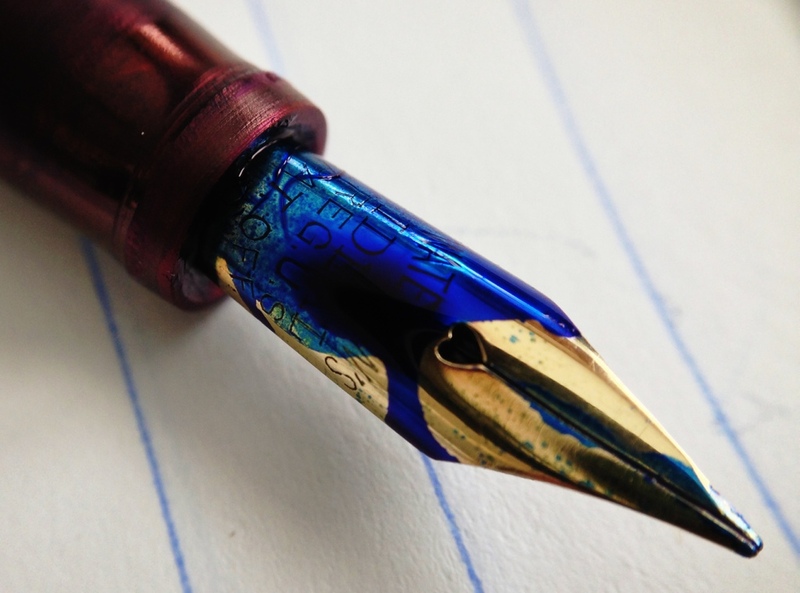 Here’s a Salz Bros. Peter Pan nib (14k and flexible) next to a #6 TWSBI Micarta nib. 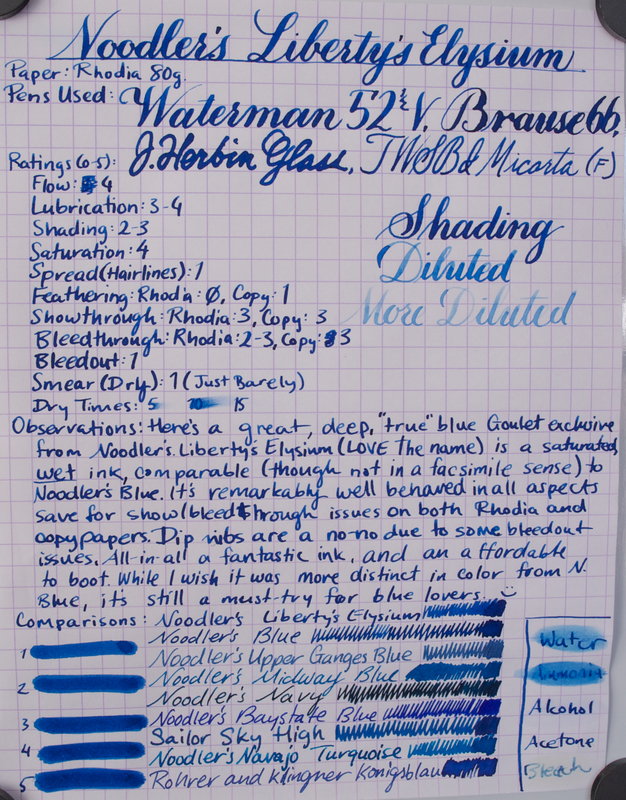 This is one brilliantly bright and charismatic ink. Highly recommended! Not every ink needs to last through a nuclear winter. Parker Washable Blue is a soft, gorgeous blue. Saturation is on the low-side, but it works for the ink. I definitely recommend trying this.